Fine ground corn, wheat, rye, oats, and rice especially treated and processed to be used as a binding agent in the making of sausage. It is used much the same way that soy protein is used and for the same reasons. It is less expensive than soy protein. 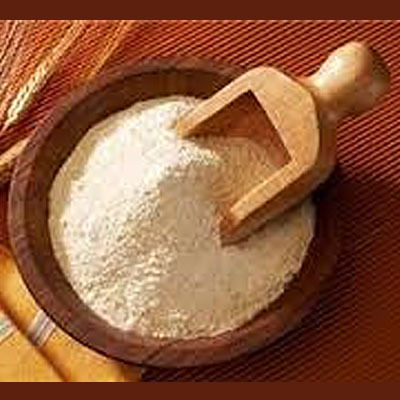 If the consumer has a gluten intolerance, it is recommended that Bull flour not be used. The recommended mix is 1 1/2 lbs of Bull Binder to 50 lbs of meat.